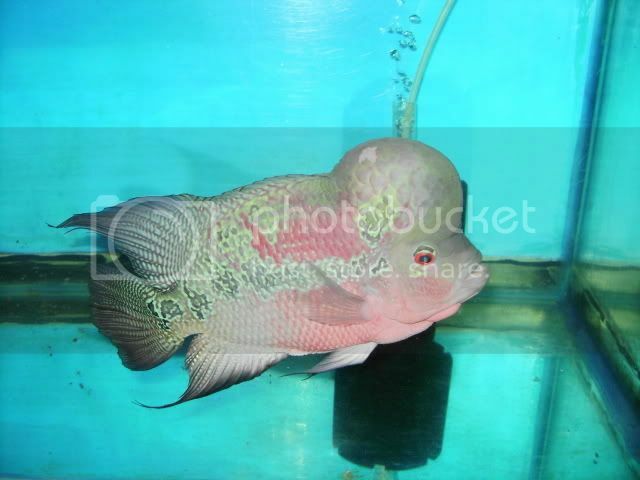 Increasing the size of flowerhorn head is among the ultimate goals of every hobbyist. While genetic makeup is considered biggest factor for flowehorn head growth, overall health is undeniably essential. Overfeeding is the biggest cause for poor health condition of the flowerhorn fish. Practice sensible feeding habit at all time. Many fish owners are enticed to pump feed their pet thinking it will hasten head development. I have seen that happen countless times and the only result so far is protruding belly. Seasoned hobbyists would readily agree pump feeding will just do more damage than good. Water quality is another factor that you should always keep an eye at. Doing partial changes often is key for better water condition. During colder months, it is necessary to check tank water temperature. If needed, you must use an aquarium heater in your flowerhorn tank. Needless to say, you must keep your louhans separated from other fishes. While feeding live food to your louhan may have its advantages, commercially sold flowerhorn food in pellet, powder, or flake form could also provide the same nutrients with much lesser risks involved.